Viknesh Vijayenthiran September 19, 2012 Comment Now! 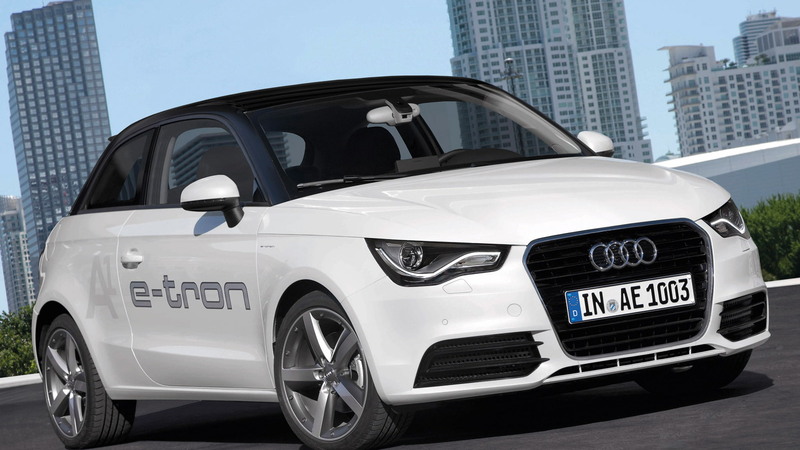 Following a successful trial of A1 e-tron prototypes on the streets of Munich, Germany, Audi is now moving onto the next stage of its electrified vehicle research with the announcement today of a new trial using an updated version of the A1 e-tron. The latest version does away with the previous rotary engine range-extender and adopts a more conventional three-cylinder engine. 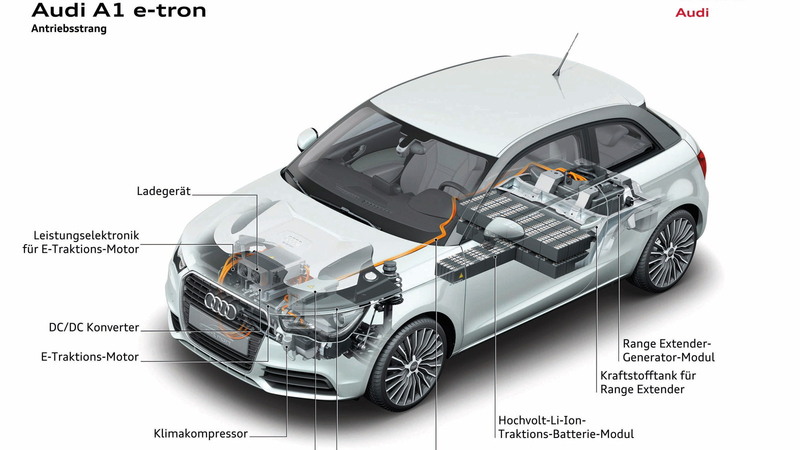 For the new car, which Audi calls a Dual-Mode Hybrid, the layout of the drive system essentially comprises a combustion engine, two electric motors and a single-speed transmission. The combustion engine is a specially developed three-cylinder engine displacing 1.5 liters and developing a healthy 130 horsepower thanks to turbocharging and direct injection technology. It is connected directly to a 68-horsepower electric motor that functions as a starter and alternator-generator. Importantly, this electric motor doesn’t actually drive the wheels. The second electric motor, which is rated at 116 horsepower, is used for driving the wheels, either exclusively or together with the gas engine. A special single-speed transmission enables the combustion engine, including the alternator-generator, to be engaged or disengaged as required from the rest of the drivetrain by means of a claw clutch. 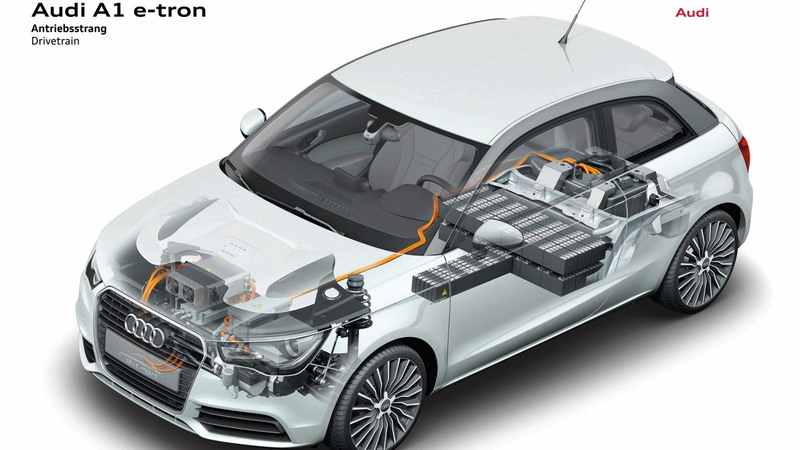 In this way, Audi’s Dual-Mode Hybrid setup can allow various operating modes. The vehicle can either drive on electric power alone, its 17.4 kWh lithium-ion battery giving it a range of about 55 miles, or it can drive in extended-range mode where the combustion engine is used to top up the batteries while on the move, or it can drive in parallel hybrid model where both the combustion engine and an electric motor send power to the wheels. Note, in all three modes only the front wheels are driven. 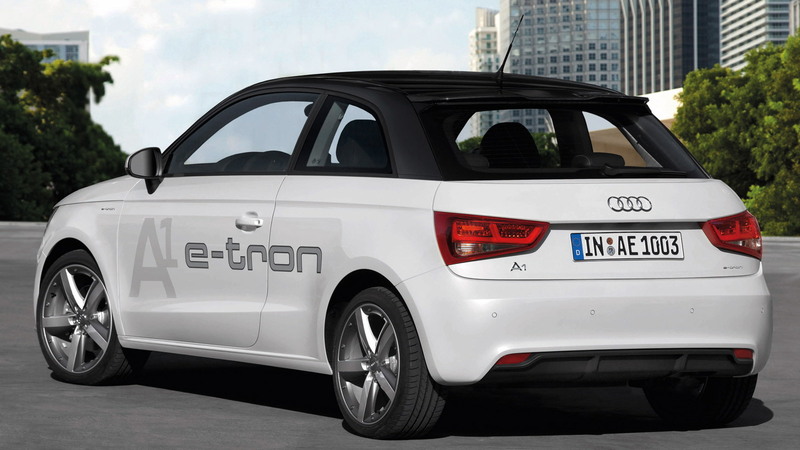 Audi says the vehicle can accelerate from 0-60 mph in less than 9.0 seconds and return a fuel economy of up to 235 mpg. 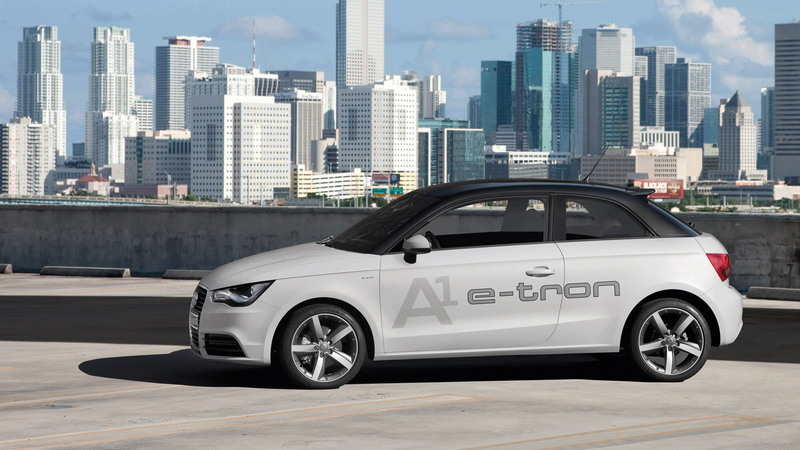 At present, the Dual-Mode Hybrid technology is at the pre-development stage: tests have begun with the first prototypes based on the A1. They will be participating in a new program funded by the German government called Schaufenster Elektromobilität, which starts next year.